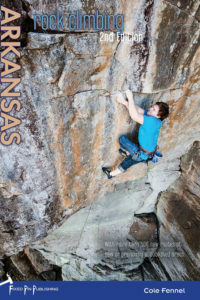 Route development in Arkansas experienced a veritable explosion in the six years since the publication of the first edition of Rock Climbing Arkansas. In this second edition, Cole Fennel meticulously documents all of the publicly accessible sport, trad, and mixed routes in the state, including nearly 500 new route additions, some on entirely new crags. With stunning new photography, improved organization, and completely updated logistical information, the second edition of Rock Climbing Arkansas is a must have for any self-respecting southeast climber who wants to explore the world-class climbing offered up by the Natural State.